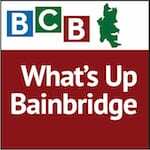 In this 11-minute podcast interview, BCB host Channie Peters talks with Marissa Cleveland, Events Manager for the Bainbridge Island Museum of Art (BIMA), and Bob Ruch who is hosting a group of Tibetan monks on Bainbridge Island. 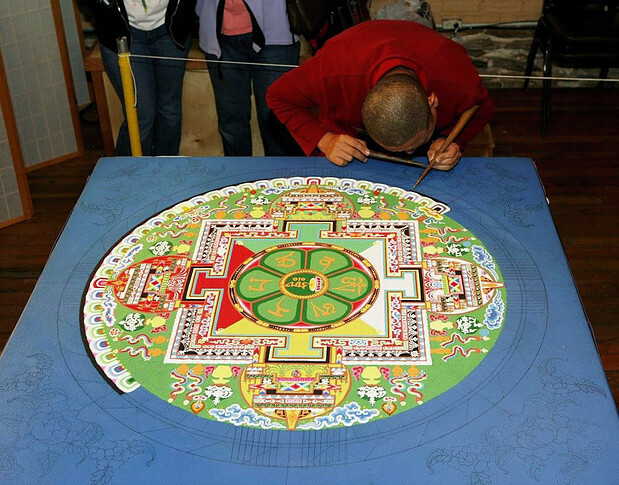 They talk about this unique opportunity for the art museum to offer the extraordinary experience of witnessing the creation of a sand mandala to museum visitors. Marissa explains how this fits with the theme of the museum’s current show: Journeys. Mandala derives from the Sanskrit, conveying the meaning “container of essence,” or to symbolize a microcosm of the universe. The sand mandala is a Tibetan Buddhist tradition involving the creation and destruction of mandalas made from colored sand. In Tibetan Buddhism, intricate, colorful mandalas containing many Buddhist symbols are used as objects for meditation practice. The sand mandala is one of the most elaborate, intricate, exquisite art forms, typically created by highly trained Tibetan monks. And after the sand mandala has been created, there is a formal ceremony of blessings, the sand is swept up, and poured into the sea. While this is symbolic of impermanence, the real significance of the sand mandala is that it is created to be a container for blessings, power and well-being. Before it is swept away, blessings are offered in a ceremony. These blessings fill every grain of sand, and then the sand is poured into the sea, which carries the blessings out into the world. This ancient Tibetan Buddhist art form will be recreated by six monks from the Gaden Shartse Monastic College in India at the BI Museum of Art during the hours the museum is open, 10 am – 6 pm from Monday, May 2nd through Saturday May 7th. Because Friday, May 6th is Arts Walk, and the museum will be open until 8 pm. the monks will adjust their hours to continue installing the sand until the museum closes at 8 pm so that visitors can watch this intricate, meticulous meditative art during Arts Walk. 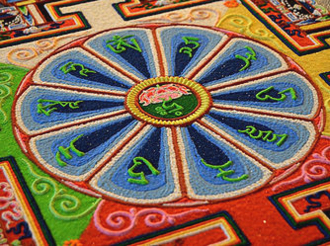 This specific sand mandala will be of the Medicine Buddha, the Buddha of Healing, the manifestation of the healing energy of all enlightened beings. The sand installation will be in the museum’s Orientation Gallery so that visitors can walk through and observe the monks at work during museum hours. There will not be any seating in this small space. According to tradition, on the last day after the sand mandala has been completed (in this case, Saturday May 7th), the monks conduct a ceremony to bless the sand. This will occur at approximately 3 pm at the Art Museum. The monks will take the sand that has been swept up from the mandala and carry it to Eagle Harbor where it will be poured into the sea to take its blessings to other shores. 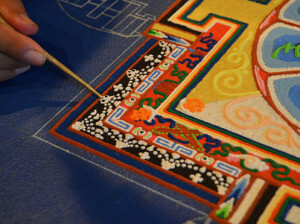 Also during the construction of the sand mandala, May 2-7, a DVD video documentary will be continuously playing in the museum’s auditorium about the Gaden Shartse Monastic College, which has a highly structured academic curriculum that also includes optional study of arts such as painting, calligraphy, tailoring, Tibetan butter sculpture formation, and sand mandala creation. 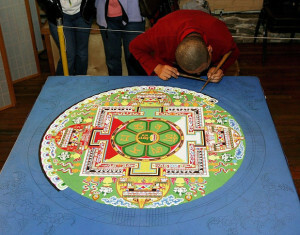 Training in sand mandala creation is highly skilled and takes three years. While the monks are visiting Bainbridge Island, they will also be available for Buddhist House Blessings, by appointment. As the host for the monks while they are here, Bob Ruch may be contacted by email to arrange house blessings by the Tibetan monks, and to learn more from them about Gaden Shartse Monastic College and how to support their work.